TVDATA filming an international air show. 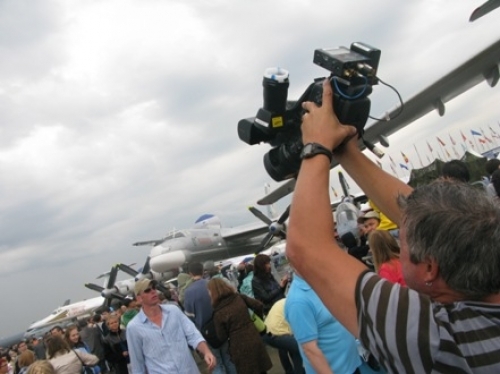 28.07.2012 TVDATA filming an international air show. Russian Producer & Camera Crew assisting Canadian Discovery Channel filming an International Air Show near Moscow, Russia on Zhukovskiy LII air field. The show was an 8 part Series about Ferry pilots who deliver planes to buyers and events around the world. 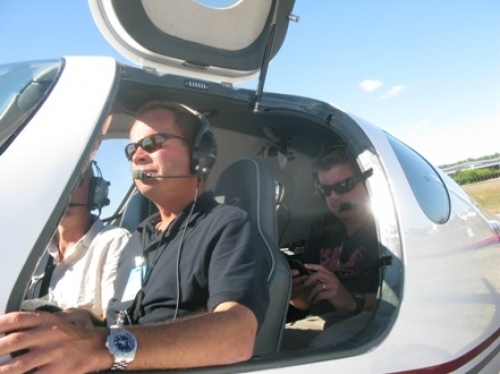 Each episode is filmed in and around the aircraft with some footage filmed outside the area of the aircraft and in the city. Video rushes were delivered to Canada using FTP service at TVDATA location in Moscow. We provide LAN Internet Line at 100 MegaBit/sec. TVDATA operates in Moscow and St. Petersburg providing quality television and film production services. If you film an International Aviation Salon MAKS-2011 or International Motor Show in Moscow held this August, we provide live mobile broadcast device containing 4G cards to broadcast content anywhere anytime.